El Paso Federal Criminal Defense Attorney – Oberheiden, P.C. If you need help with your federal case, you can call any day of the week. Former prosecutors will provide you insights into the federal criminal justice system and discuss your situation with you—in a free and confidential consultation. After all, who can tell you more about a federal case than those lawyers that were previously in charge of federal cases at the Department of Justice? Are You Accused of a Federal Conspiracy? Were you told that you, your business, or someone you had contact with is under federal investigation? 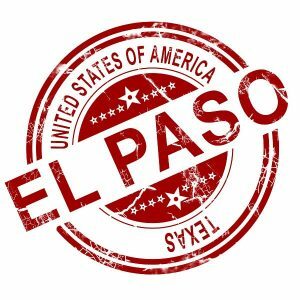 Do you live in El Paso and did you encounter federal agents trying to talk to you or an affiliate? Do you have reason to believe that the government is after you? Were you recently arrested in El Paso or received a target letter or grand jury notice from the U.S. Attorney’s Office in El Paso (located at 700 E. San Antonio Ave.)? Do you want to find out what’s going on? Is it time to get an attorney? If you find yourself on the government’s target list, time is of the essence. The more time you allow the government to investigate you and possibly perceive you as a criminal, the less time you have to intervene and stop the investigation. When your freedom and your reputation are jeopardized, you need to get the right lawyers on your side that have the ability and the experience to defend you against the federal government. For Oberheiden, P.C. there is no such thing as a hopeless situation. Call Nick Oberheiden today and get his free advice. Importantly, we do not use junior lawyers. No one fresh out of law school will handle your case. Because we do nothing but federal cases and because we understand the complexity of federal investigations, all our clients are represented by seasoned lawyers with a substantial and proven federal track record. If you have chest pain, you will not call a knee specialist. Similarly, if you are involved in a federal case, you should be hesitant to hire a lawyer that specializes in DUI, assault cases, or other classic state offenses. Oberheiden, P.C. is a federal criminal defense law firm that consists of former federal prosecutors and former Department of Justice trial attorneys. Our team of lawyers offers El Paso clients specific backgrounds, distinct careers, and countless success stories in the federal criminal justice system. We routinely appear before the following agencies and advocate on behalf of our clients. 21 U.S.C. 846 Conspiracy to Distribute Furanyl Fentanyl, Carfentanil, Methamphetamine, Heroin, Marijuana, Cocaine etc. 21 U.S.C. 841 Distribution and Possession with Intent to Distribute Furanyl Fentanyl, Carfentanil, Methamphetamine, Heroin, Marijuana, Cocaine etc. Agents Interview Request. One way to find out about an investigation is by learning that federal agents are attempting to interview individuals as part of a pending case. In general, federal agents are expected to provide information to a federal prosecutor from the U.S. Attorney’s Office in El Paso that serves as the foundation of the prosecutor’s decision to bring charges against someone or not. Because federal agents are a critical component of every federal case, any indication that they are asking for information about you, your business, or someone you know is a major red flag that requires consultation with experienced federal defense attorneys right away. The more time the agents have to explore their case options without being challenged or stopped by intervening defense attorneys, the more likely it is that they will use all resources and all avenues to reveal a misconduct. Thus, call Oberheiden, P.C. immediately if you become aware that agents are running around town asking questions about you or your affiliates as this gives us a window of opportunity to provide you effective help. Grand Jury Subpoena. In order to get information necessary to make a charging decision, the Department of Justice often uses the grand jury process to obtain documents and witness testimony by issuing grand jury subpoenas to people of interest. Being served a federal grand jury subpoena is a serious event. Even if you consider yourself at best a witness (and not a target), you need to keep in mind that from here on you are in the middle of a federal criminal investigation. It is the job of the grand jurors to decide whom to charges with a federal felony. From decades at the Department of Justice, we have seen how inexperience can lead to mistakes and how mistakes have turned witnesses into criminal targets. Don’t gamble when you receive a grand jury subpoena. Trust lawyers that have handled in excess of 1,000 grand jury proceedings and be advised of how to get out of the investigation as quickly as possible. Give us a call and let’s find out together what type of information you may possess and why such information may be relevant in the investigation of a federal criminal case. Federal Arrest/Indictment. Clearly the most dramatic way to learn about an investigation is by being arrested by the FBI. In order to be indicted (i.e. formally charged) for a federal felony, the grand jury must see probable cause for you to have committed or helped someone else to have committed a federal offense. Importantly, when this happens, it cannot be emphasized enough that the grand jury’s decision is not a verdict. Specifically, the grand jury only receives information from the government and because defense lawyers are excluded entirely from accessing the grand jury room and from introducing counter-evidence, the grand jury’s conclusion can and must be challenged only after the indictment. Oberheiden, P.C. has the resources and the skillset to defend against and challenge federal criminal charges by offering clients decades of federal criminal law experience, including several decades as former federal prosecutors ourselves. We understand the federal criminal justice process. This Is Why El Paso Clients Trust Oberheiden, P.C. 1. Our Client Commitment: No Junior Lawyers. Clients come first at Oberheiden, P.C.. Because we understand how serious and how concerning it is being part of a federal case, whether as a witness or a target, we do not allow junior lawyers to butcher your case. All clients of Oberheiden, P.C. are assigned to senior counsel with the specific repertoire of skills needed to navigate you through the process. You will not speak to lawyers fresh out of law school, you will not be blocked away by legal secretaries, and no paralegal will explain to you how the federal criminal justice system works. From the moment you call us, you will be in good hands. Oberheiden, P.C. welcomes to hear about your federal case. As you can tell from our biographies, most of our lawyers have spent their entire careers in the federal litigation arena. Some of us have held positions within the Department of Justice as Assistant United States Attorneys. Others have counseled individual and corporate clients in federal litigation proceedings throughout the United States, and in particular in the Northern, Eastern, Southern, and Western federal district courts of Texas. No day goes by without us either sitting at the FBI or the U.S. Attorney’s Office resolving issues on behalf of our clients—or vigorously arguing legal positions and true facts to judges in federal courtrooms. It is this, our distinct federal litigation routine that makes prosecutors nervous and the media to regularly choose Oberheiden, P.C. lawyers to feature federal litigation matters as legal experts on air. Please call our attorneys and find out how we would organize your defense. With experience and daily practice come results. Oberheiden, P.C. has obtained acquittals, dismissals, and favorable case resolutions in a wide variety of federal cases. More so, in many instances, we have avoided criminal charges being brought in the first place. If you find yourself involved in a federal matter, please contact us and ask us tough questions about our experience and our past success in situations like yours. Contact us now to directly speak to one of those attorneys that previously led and supervised federal investigations before representing clients at Oberheiden, P.C.. Find out how experienced prosecutors and defense attorneys assess your situation. Calls are free and confidential. El Paso, Sunland Park, Las Cruces, Ascension, Truth or Consequences, Ruidoso, Nuevo Casas Grandes, Silver City, Alamogordo, Deming, Soccoro, Mission Hills, Smeltertown, Buena Vista, Anapra, Del Norte Heights, Tigua, Aero Vista, Alfalfa, Planeport, Coronado Hills, among others.